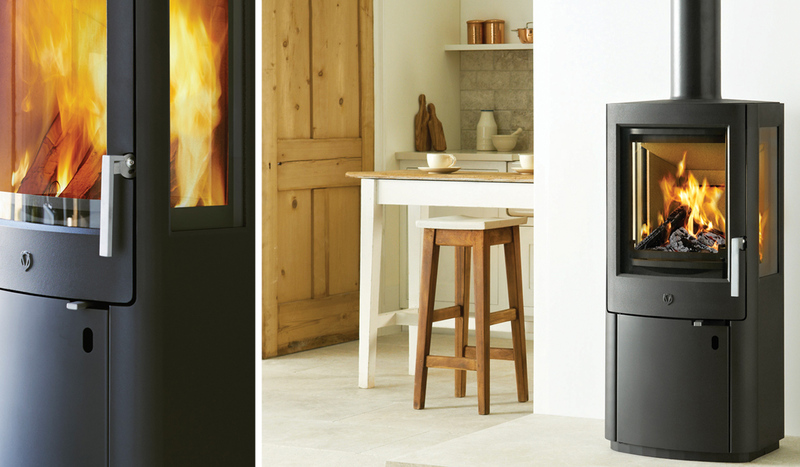 With its three windows, the Uniq 1 provides 180 degree heating experience in a contemporary design stove. The side windows are double glazed and there is a large, practical space for storing fuel in the base of the stove. Its tall, slender shape means that it does not take up too much space in a room, while still generating a 5kW of heat, thanks to its large firebox.